Innocuousness – waiting on certification appointment by the Mexican AQG, in order to obtain our NFF certification. 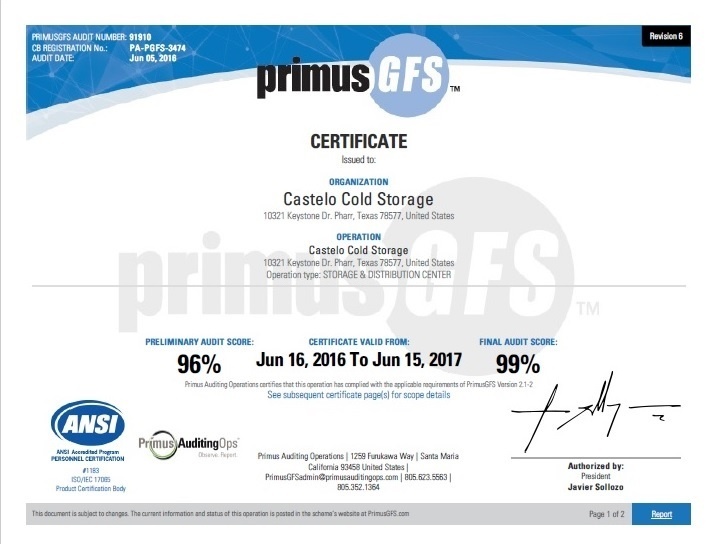 We are a current member of Primus GFS, the certification is issued after three months of operation and our appointment for full certification has been set for the second week in February 2013. Our current transportation business unit, Castelo Logistics SA de CV, is a certified member of the Customs-Trade Partnership Against Terrorism, our Castelo Cold Storage facility is also in the process of obtaining its C-TPAT certified membership status.